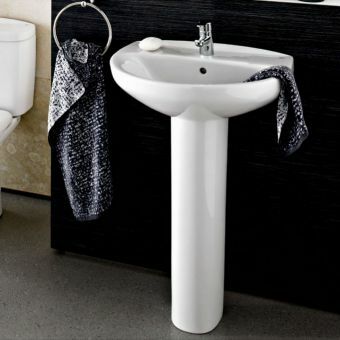 Created by Bauhaus in the a contemporary, European style, the Turin Wash Basin utilises modern manufacturing techniques to create a basin with a slimline edge, making it the ideal companion piece to the interior that leans towards a streamlined look. 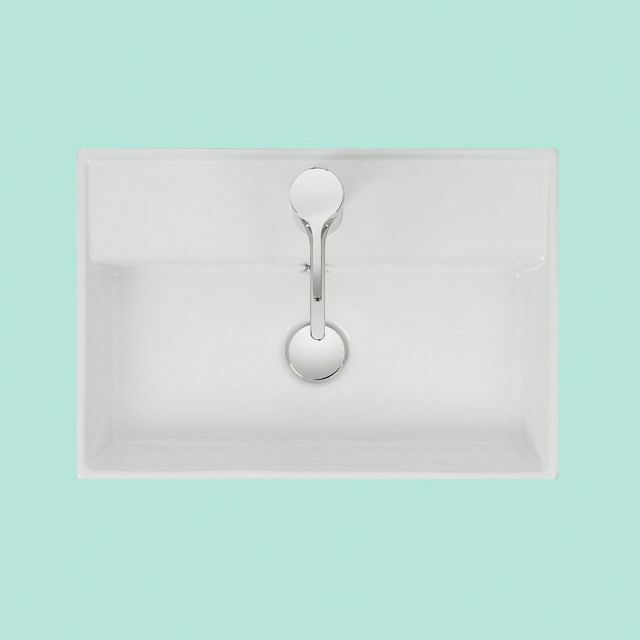 By adopting a flexible approach to product design, this washroom basin can be either wall mounted, or applied to the worktop or furniture surface according to your own needs and design vision. 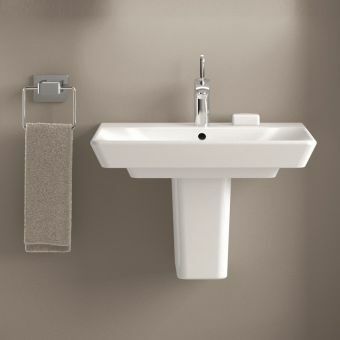 Cast into a simple but effective rectangular shape, the Turin adds an air of Italian elegance to the wash space. 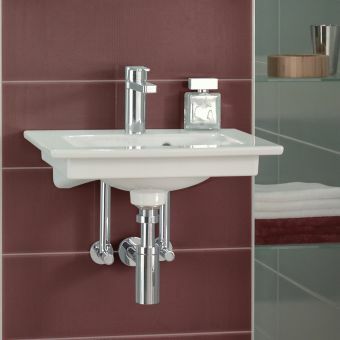 Supplied with a single tap hole, it is ready to be fitted with a monobloc mixer. 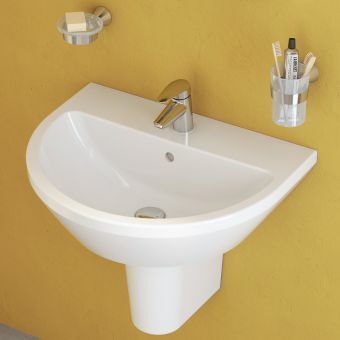 Alternatively, extra tap holes can be drilled for a three hole mixer set. 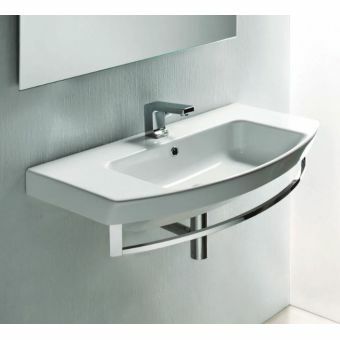 Specifications for Bauhaus Turin Wall Mounted Basin. Size: 500(w) X 350(d) X 120(h)mm. 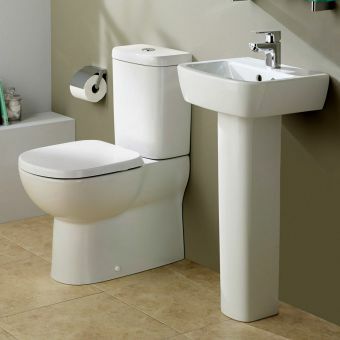 The Turin basin has been pre-drilled with a one tap hole. 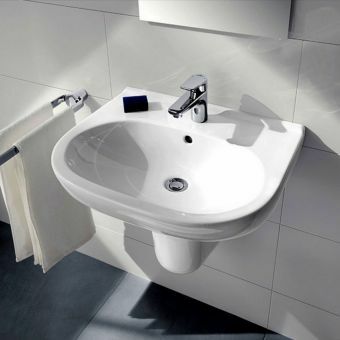 Supplied in gloss white finish.